Thanks to the release of the new AquaMAX electric mains pressure water heaters, families big and small will always have hot water on tap. Even when you turn on the second, third and fourth tap, the hot water pressure remains the same. You can even take advantage of off-peak tariffs for that extra economy. The AquaMAX factory "torture test" has made sure this new system is tough enough to keep up with the most demanding households, whether it's installed indoors or outdoors. Technically speaking, it's the welded steel cylinder's Maxi-namel ® lining with a sacrificial anode, protected by a strong colorbond casing that makes it perform to the very max. What's more, the AquaMAX cylinder is backed by a 5 year warranty, some models offering a 10 year warranty. The inherent corrosion resistance of stainless steel sets a new standard for hot water cylinders. Constructed from marine grade 316 stainless steel, the cylinder has been designed for a long life and meets the official Australian Gas Association pressure and pulsation test requirements. The all stainless steel cylinder is free from any added surface coatings and does not require a sacrificial anode - both of which are used in conventional (vitreous enamel, bonded ceramic) systems. The stainless steel cylinder is guaranteed for ten years and the whole unit carries a 12 month warranty - parts and labour. Full warranty conditions available for request from AquaMax. These warranties are additional to all other rights and benefits gained through Trade Practices and other legislation. Various patents apply. Constructed to operate at high water temperatures, the stainless steel cylinder will enable conversion into a solar boosted gas powered unit by using our AquaMax solar kit. Utilising free solar energy will further reduce your gas bill. Designed for external installation - either free standing or recessed into the wall cavity - with all fittings located for ease of access, and having a distinct weight advantage over other conventional units of similar capacity. To register your warranty, visit the AquaMax Warranty Registration page. 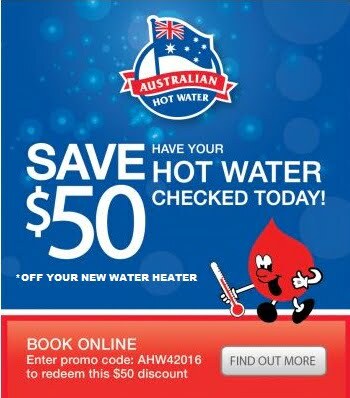 For more information on AquaMax electric and gas hot water systems, visit the AquaMax website.